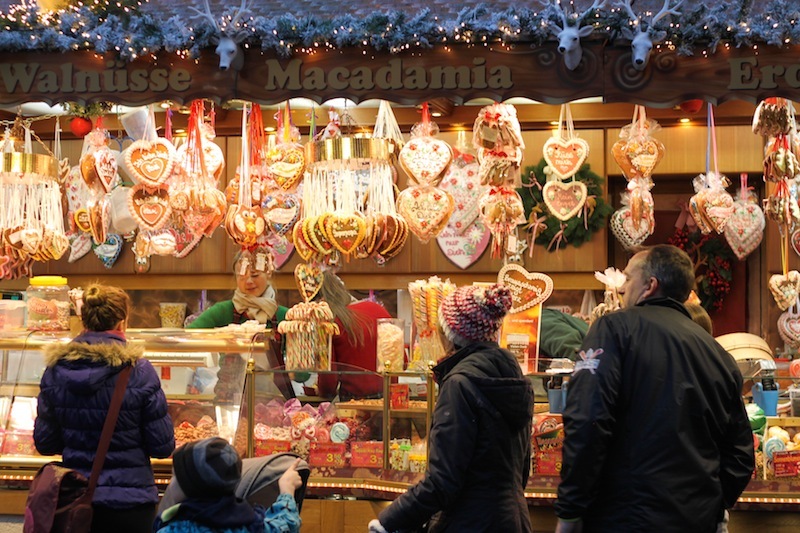 On a German Christmas Market – Eat Me. Drink Me. 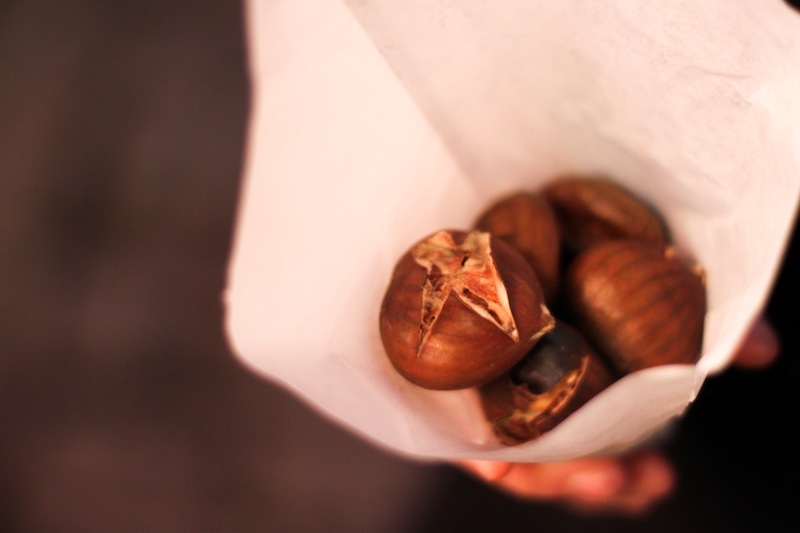 There is little quite so lovely as wandering beneath boughs of evergreen with a sack full of chestnuts warming your hand as the smell of powdered sugar and melted butter mingles with pine sap and spice. 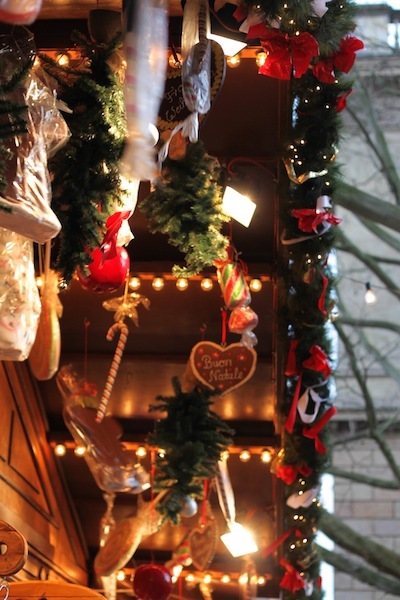 The Christmas market is a beautiful thing, a little glow of warmth and good cheer in the bleak midwinter. The crowd jostles along, surprisingly friendly in the crush. 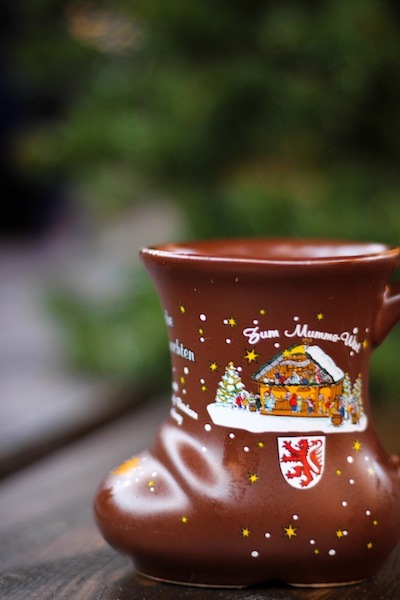 It must be the Glühwein – warm wine mulled with citrus and spice – that everyone drinks from tiny, commemorative mugs. 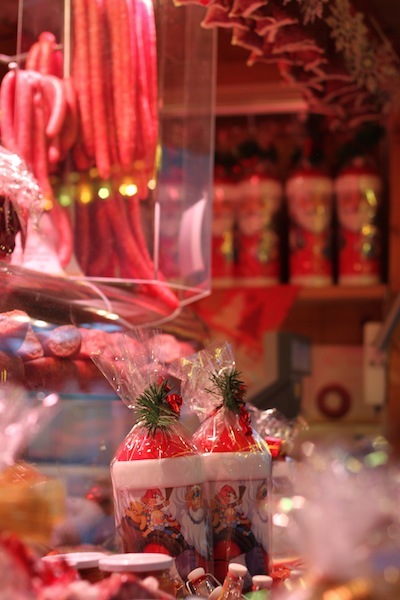 Each stand has its own – a little brown boot, a red mug tiered like a whirling advent tower – that people love to pocket at the end of the night, considering the transaction paid for with their two euro deposit. 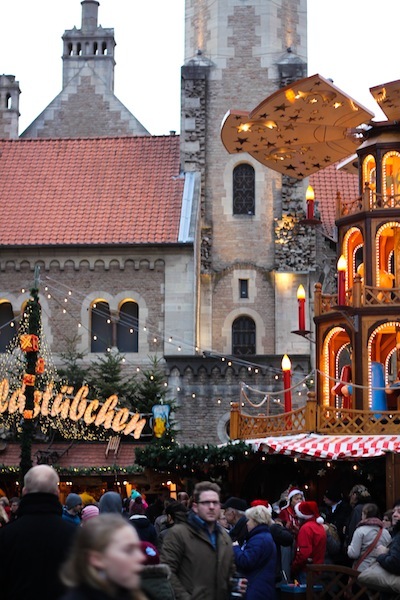 Here in Braunschweig, they serve a special kind of Glühwein laced with Mumme, a malty extract that started its life as a sailor’s beer but today is mostly non-alcoholic in its uses. A shot added to Glühwein deepens the fruity sweetness with aroma, an invigoratingly dark swirl of flavor and warmth. At the Mumme stand, they also serve Mumme beer and Mumme-baked rolls heaped with freshly-sliced Spanferkel – suckling pig slowly roasted until the meat is juicy and tender with fat that melts on your tongue like caramels and crisp, salty crackling. 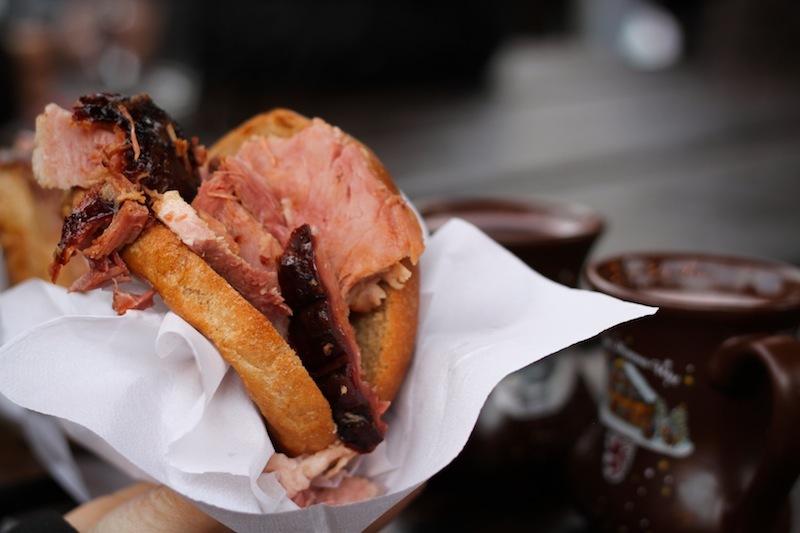 We top it off with Mumme-honey mustard and eat it standing up at packed wooden tables, where we wipe our grease-slicked mouths with paper napkins and wash all that goodness down with slugs of hot Glühwein that burns our tongues. But there’s more to the market than Mumme. There are tiny poffertjes, buttery, puffy pancakes made with buckwheat and yeast and sprinkled with powdered sugar. There’s a stand selling Swedish meatballs with lingonberry sauce and rosemary-roasted new potatoes. And one with beer-batter-fried camembert draped in creamy horseradish and sweet jam. 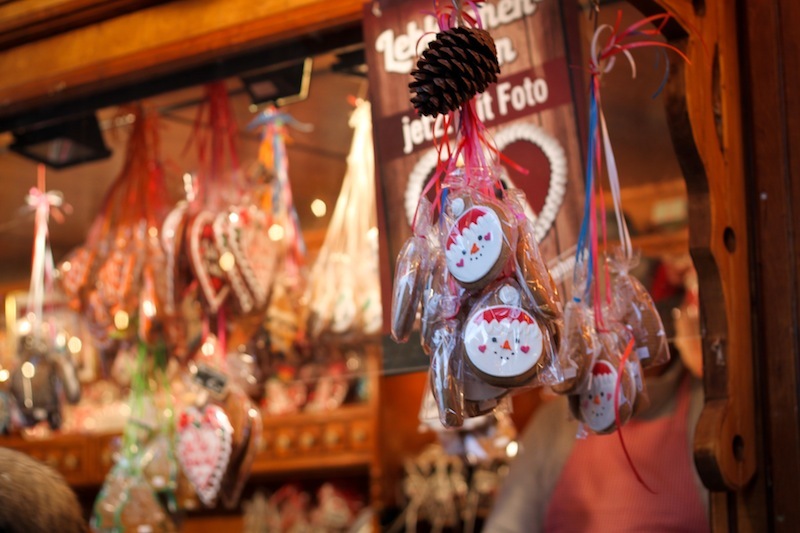 There are Lebkuchen hearts hanging from the rafters of wooden huts filled with sparkling sweets: slick, red candied apples, dusty herbal bonbons, marshmallows dipped in chocolate and sprinkles, truffles upon truffles and stacks of brittle, tightly packed marzipan, and frosted sugar cookies cut into wintry shapes. 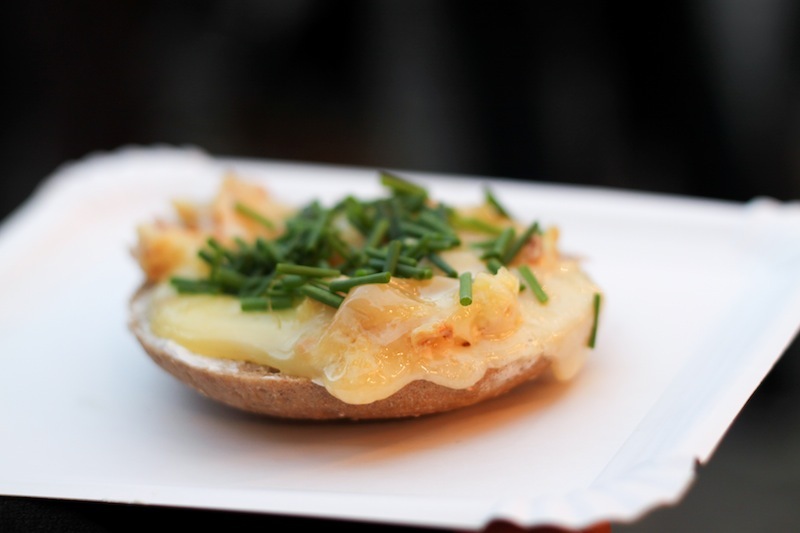 There’s raclette, of course – hot melted cheese scraped from a bubbling wheel and draped over toasted bread with chopped chives – and baked apples tossed in cinnamon and sugar. 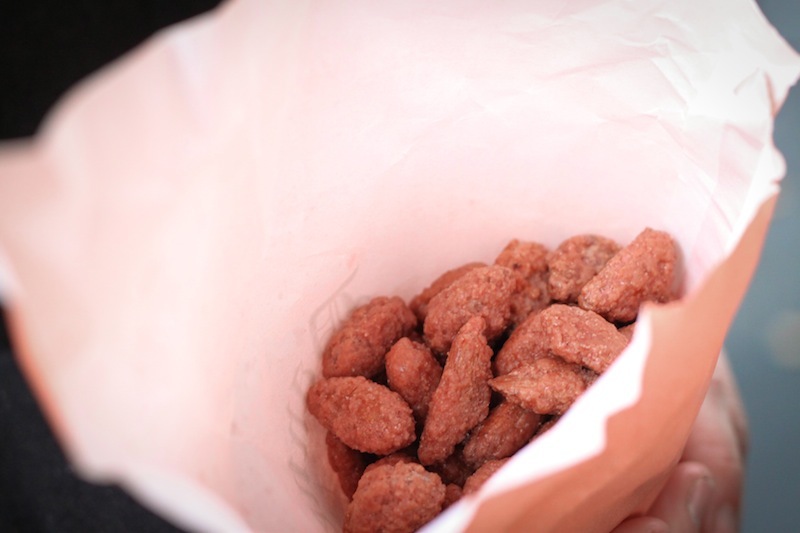 The man selling chestnuts is also selling dried fruit and bulk nuts glistening in their hard, shiny shells. And everywhere there are people, flowing steadily from stand to stand, pressing up to shout their orders over the din, reaching for mugs and grilled bratwurst. And for the most part, we are kind to each other. We joke as we jostle, weaving in and out through packs of people wrapped in heavy winter coats. A festive, jolly spirit infects us all. At the end of the night, we ask for our Glühwein in the pretty mugs. The girl gives us a look and winks; she knows we’re going to steal them. And as we walk towards home, sipping the hot mulled wine, the deserted streets beckon. A quiet night, a peaceful sleep, a new morning. 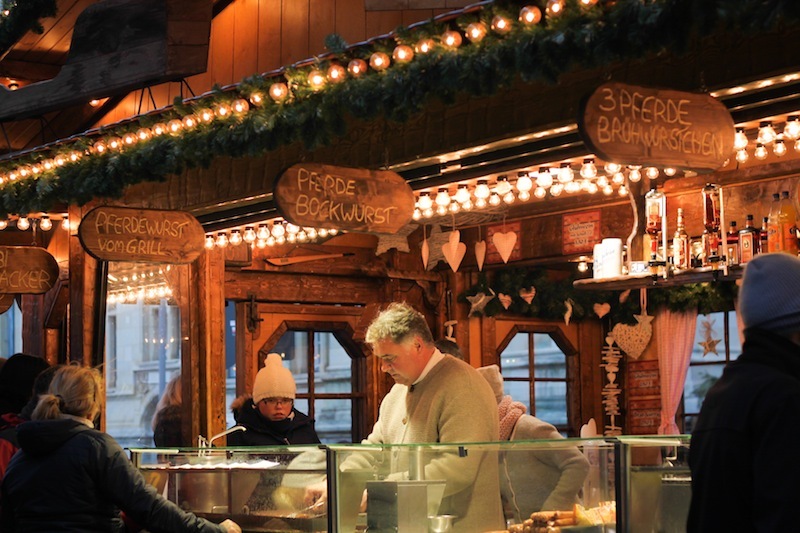 Now I’m hungry for those foods, some of the warming Gluhwein … and especially some of the atmosphere.